In his amazing gossamer piano solos he sprinkles stardust on whatever song he plays, you hold your breath in wonder. 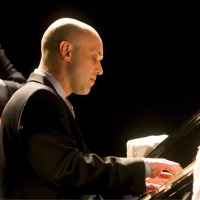 Larry Fuller is an internationally acclaimed jazz pianist, band leader, and clinician who is known by critics and fans to swing like a beast!. 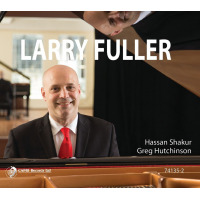 Early in his career, Fuller's undeniable talent earned him the position of musical director and pianist for GRAMMY- nominated vocalist Ernestine Anderson, pianist for renowned drummer Jeff Hamilton's Trio, and final pianist in legendary bassist Ray Brown's Trio. Fuller also toured with guitar-vocal giant John Pizzarelli. 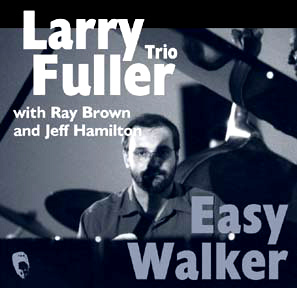 Since 2013 - harnessing his extraordinary experience - Fuller has led the Larry Fuller Trio. He presents a musical program rarely experienced live today, consistently praised for his emotive, swinging style, monster technique, and program versatility. From bop, to stride, to swing, to blues - a performance by Larry Fuller is one you will not want to miss! Larry Fuller has appeared at Carnegie Hall with the New York Pops, Symphony Hall with the Boston Pops, Hollywood Bowl, Kennedy Center, Bern International Jazz Festival, TD Vancouver International Jazz Festival, Shanghai Center Theater, Musical Instrument Museum (MIM) Theater, Dimitriou's Jazz Alley, Concertgebouw Amsterdam, Birdland NYC, Blue Note (Milan, Tokyo & NYC), A-Train (Berlin), Tbilisi Event Hall, Auditorio Ibirapuera with Arte Viva Symphony Orchestra Brazil, and many more. All About Jazz musician pages are maintained by musicians, publicists and trusted members like you. Interested? Tell us why you would like to improve the Larry Fuller musician page.